Welcome to the Holiday season! November marks the beginning of colder temperatures, neighborhood lights (and elaborate yard inflatables), parties, dinners, candies, cookies, pies and other tasty treats. For those of us consciously striving for Super Health for ourselves and our families, the holiday season poses unique and often difficult challenges. For example, how do I successfully navigate the Thanksgiving table? How do I maintain motivation to stay active as the weather outside turns frigid? Is there a way to eat in the hours before the party that will help? Today on LivingFuelTV, I’ll share with you practical tips to prepare yourself (and your digestive system) for the holiday feasts ahead. And let’s all be thankful this holiday season for the abundance our gracious Creator and faithful Provider has blessed us with. May we be found wise stewards of His many gifts. Click on the graphic below to watch. Your body’s natural state is designed to be one of wellness, energy and vitality. Does this describe you? As stewards of this amazing creation called the human body, it’s our personal responsibility to supply it with the very best raw materials. If you fuel your body with the correct raw materials, you will help it achieve and maintain optimal health. These raw materials include plant-based superfoods from nature – foods like blueberries, strawberries, raspberries, cranberries, broccoli, spinach, barley grass and spirulina just to name a few. These powerful nutrients feed your cells and organs like high octane gasoline fuels a high performance race car. In this week’s video interview, we’re back with Mike Adams, The Health Ranger. Click on the graphic below to watch as we discuss the What, Why and How of incorporating superfood nutrition into your life. For more information visit www.livingfuel.com or call 1-866-580-FUEL(3835). 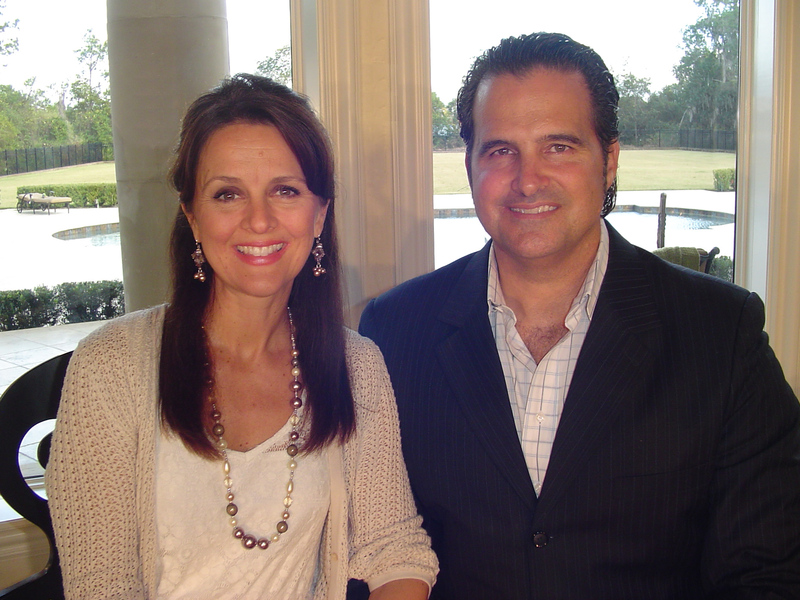 KC and Monica Craichy, founders of Living Fuel, the Leader in Superfood Nutrition, will be featured speakers Sunday, Oct. 16, during The Truth About Cancer Ultimate LIVE Symposium at the Gaylord Texan Resort Hotel & Convention Center. They will share an intimate conversation on navigating the land mines of life and health with special guest, Mike Adams, the Health Ranger, and will be among 40 of the world’s leading experts on natural health assembled for the three-day event. Monica plans to open up about her past health struggles and how others can avoid what she faced. She was the picture of health on the outside, but the former Miss Florida and Miss Florida USA was suffering on the inside with depression, panic attacks and thoughts of suicide. She and her husband KC will share the keys they learned on their journey and how others can use those secrets to avoid or overcome their own health challenges. Monica did not like the way her prescription medication was making her feel and KC did not like the fact it stripped his wife of her zest for life. Not wanting his wife to be a lifelong patient, KC immersed himself in research on nutrition and its effect on the body and mind. 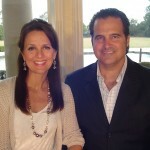 As a result, Monica’s life changed for the better and the Living Fuel brand was formed. The Truth About Cancer Ultimate LIVE Symposium runs Oct. 14-16 and features presentations from the industry’s leading minds on natural health and chronic disease prevention. Other speakers include Dr. Joseph Mercola, Dr. Stanislaw R. Burzynski, Dr. Andrew Wakefield, Dr. Ben Johnson, Jordan Rubin, Dr. Robert Scott Bell and many others. Those who cannot attend the event in person can stream all sessions live online for free. What are they and why are they important to your health? Mike Adams, the Health Ranger, sat down with KC and Monica Craichy to learn more about superfood nutrition and how it can impact your health for life. Join Living Fuel Founders KC and Monica Craichy as they answer the top questions about the extraordinary LivingFuel SuperEssentials® Aminos. Amino acids supplementation was once reserved for body builders looking to increase lean muscle mass. Today, intelligently and strategically supplementing with essential amino acids can help supercharge health, physical performance, mental clarity and weight optimization! LivingFuel SuperEssentials® Aminos is the most sophisticated and powerful free-form essential amino acids product available today. Discover what this amazing supplement can do for you and your family. Click here to view more information about LivingFuel SuperEssentials® Aminos. Try LivingFuel SuperEssentials® Aminos today! LivingFuel products are unparalleled, cutting-edge Maximum Human Nutrition. LivingFuel SuperGreens is our flagship LivingFuel functional superfood, and this powerful formula has remained the top green superfood on the market for 14+ years. We receive many questions about SuperGreens such as What is it?, Why do I need it? and How do I use it? Join Living Fuel founders KC and Monica Craichy as they answer these questions and more on this one-of-a-kind superfood. Click on the image below to join us. On the recent LivingFuelTV episode, Is Your Omelet Toxic? we explored how to prepare a super healthy omelet at home or at your favorite restaurant, with the objective of preserving the myriad of health benefits of whole organic eggs. You may be asking now: Won’t whole eggs skyrocket my cholesterol? While whole eggs are relatively high in naturally-occurring cholesterol, you may be surprised to learn the total level of cholesterol in the body compared to that in your three-egg veggie omelet. You’ll discover in today’s episode if this is a real concern. KC Craichy will also reveal the real culprit behind elevated cholesterol levels and practical, powerful tips to naturally lower cholesterol. Click on the graphic below to watch and forward this episode to a friend or family member that is battling elevated cholesterol levels. To learn more, join Living Fuel founders KC and Monica Craichy to learn more about whatTheraSweet is, why you should add it to your pantry, and how to best enjoy it. Click on the graphic below to watch.